An engine immobilizer system is a common anti-theft feature in most cars produced in the past 20 years or so. When it works like it’s supposed to, it greatly reduces the chances of your car getting stolen. When problems arise with your car immobilizer, it can cause major headaches. Keep reading to understand how an engine immobilizer works and to know what symptoms to look for in case of an engine immobilizer malfunction. How Does a Car Immobilizer Work? 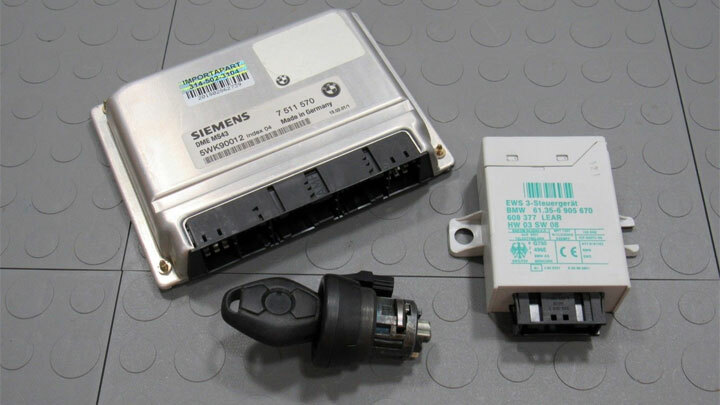 An engine immobilizer system (or car immobilizer) is a great piece of electronic security technology which is basically a vehicle theft deterrent. Its purpose is to prevent a vehicle from being hot-wired and stolen by a thief who doesn’t have a key to start the engine. Research studies have proven there are 40% fewer car thefts since immobilizers were introduced into cars. If you’ve purchased a car that was made within the last 20 years, then you’ve probably already used this technology without even realizing it. The car keys that car dealerships distribute now are basically key fobs or smart keys. That is why the base of the key contains buttons to lock and unlock car doors, open the trunk, or sometimes even remotely start the vehicle. Many key fobs on newer vehicles don’t even have a physical key attached to the base. You just have to be inside the vehicle with the key fob in order to start the car by way of an Engine Start button. The inside of the key fob contains a transponder chip. When you put the key into the ignition or have the key fob inside the vehicle (for keyless fobs), the transponder chip inside the key fob sends a security code to the car’s immobilizer system. If this security code matches the code in the immobilizer system, the car will be allowed to start. If the key is not legitimate or there is no key fob or transponder present, the car will not start. This security code is random each time you start the vehicle and your key is the only source that can generate the correct token for the vehicle. The good news is that this this electronic immobilization system works very well in preventing car theft and getting your key stuck in the ignition is a thing of the past. The bad news is that if you lose your key fob or the transponder chip is damaged or goes bad, you’ll need to get a new key from the auto dealership which can be very costly. Like anything else that is electronic, an immobilizer system can malfunction and case some problems for you. Here are the 5 most common signs that you can expect to experience if there’s a problem somewhere in your car’s immobilizer system. When you use your key to lock the doors of your vehicle remotely, the doors do not lock. Unfortunately, many modern-day vehicles don’t have keyholes on the outside of the doors, so you cannot open them manually with your key. Without a working smart key or key fob, the only way you can lock your doors is if you lock them from the inside as the doors are open and then you close the doors. Similar to the last symptom, you probably won’t be able to unlock your doors with your smart key if you cannot lock them either. This means if you lock the doors from the inside and then close the doors, you won’t be able to get back into your car because your key won’t be able to unlock the doors. At this point, you’d have to call a locksmith to unlock the door. A common symptom of a problem with your engine immobilizer is that your vehicle does not start at all. If it weren’t for the problems with the locking mechanisms, there could be a wide variety of reasons why your engine does not start. But if you experience those problems and have an engine that doesn’t make an attempt to start, then you clearly have a problem with either your immobilizer or the smart key itself. If your key fob has a physical key that you must insert into the ignition and turn and it doesn’t budge, you may have a problem with the transponder chip inside the key fob base. For some reason it’s not sending the security code to the car immobilizer. This is often due to water damage (water + electronics don’t mix) or actual breakage of of the chip due to the fob falling or being crushed. Before ordering a replacement key, make sure you’re using the correct key fob for the car. Just because your spouse drives the same make of car doesn’t mean her key fob will work in yours. Since the immobilizer is the main security feature of your vehicle, that means your alarm system won’t work either if the immobilizer is faulty. Many immobilizer problems can be fixed simply by simply replacing the battery in the key fob. 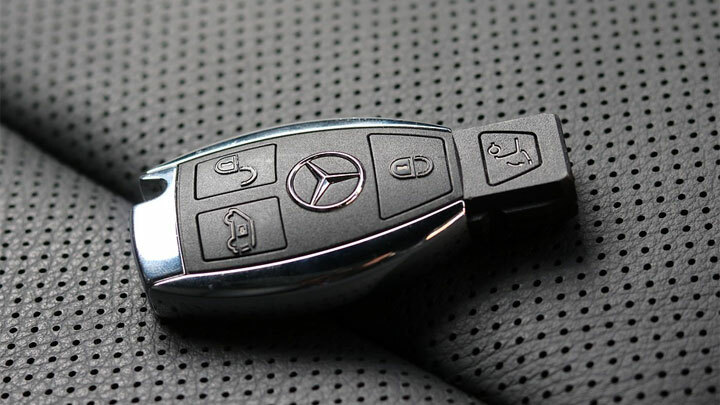 Many transponder keys depend on a small battery to relay the security code to the car immobilizer. Be careful replacing the battery so you don’t accidentally damage the transponder chip inside. If you’ve replaced the battery and it still doesn’t work, you may have some type of damage to the transponder chip. In this case, you will have to contact your local car dealership and request a new key. They are not cheap to replace so be prepared to shell out a hundred or even a few hundred dollars for a new key. Usually, the more expensive the vehicle, the more a replacement key fob will cost. If the actual immobilizer system in the vehicle is to blame, then it could be due to the wires being corroded or damaged. Perhaps the engine control unit or its sensors are malfunctioning or faulty. These situations would require you to go to a car dealership or auto repair shop that specializes in electronics for further troubleshooting. My car is not starting, they have diagnose and they said its mobilizer. It’s crank only not starting. Locking doors and open doors its working. It’s possible since most immobilizers shuts down the fuel pump but still allow spark. Obviously, there are a lot of different reasons for a car cranking but not starting but if “they” have done some basic troubleshooting, the engine immobilizer is definitely a possibility. My GMC Canyon will not even turn the engine over. It will crank remotely but when you put the key in it and turn it on it stops. The imobilizer light is on . How do I turn it off? 1. Attempt to start the truck by turning the key to the Start/Run position. Try to crank the vehicle. 2. Observe that the vehicle fails to start and the security light is illuminated. 3. Release key to the ON/RUN position (not the ACC position or OFF) 4. Allow the vehicle to sit with key in the ON/RUN position for no less than 11 minutes. Security light will turn off after this. 5. When the light goes off, turn key to OFF position and allow the vehicle to remain in the OFF position for no less than 30 seconds. 6. Repeat #1-#5 for four cycles or until vehicle starts. It’s possible the immobilizer is simply bad and will need replacing. 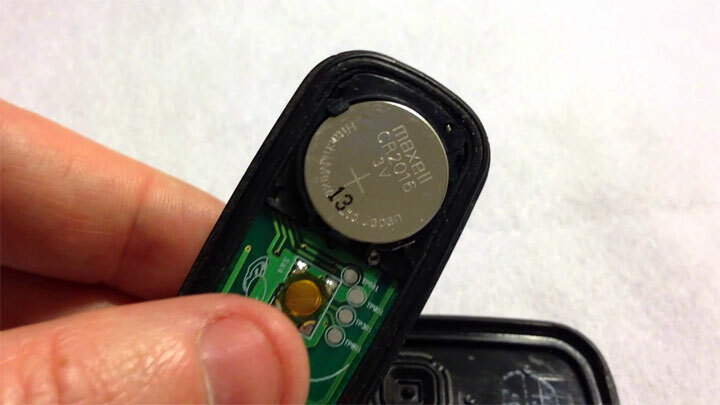 Damage to the transponder inside the key fob is possible. Also, make sure your steering wheel is simply not locked. While turning the key in the ignition, turn the steering wheel all the way to the left or right. If that doesn’t help, you’ll likely need to visit a local dealership to troubleshoot. That would be my guess. Having a dealership confirm is really the only option when it comes to this. Hi want to know if one leaves the ignition in the on position for awhile will it affect the battery from starting? Yes, the will cause a battery drain on most cars. Some newer cars will detect the drain and automatically shut things down. On pre electronic ignition vehicles (80’s and earlier), you can actually cause damage to internal parts (fuel pump, starter, etc.) by leaving it in the ON position too long.